Although there are messengers and social networks, email is still a popular way to communicate with clients, partners and colleagues. 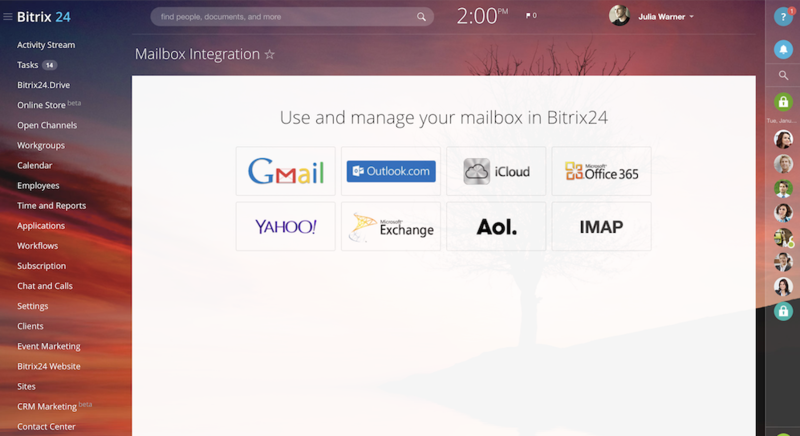 Webmail in Bitrix24 is connected with CRM, Tasks and Calendar. Process mail, create leads in one click and create tasks by connecting your email address with Bitrix24! Read more in our Helpdesk article.